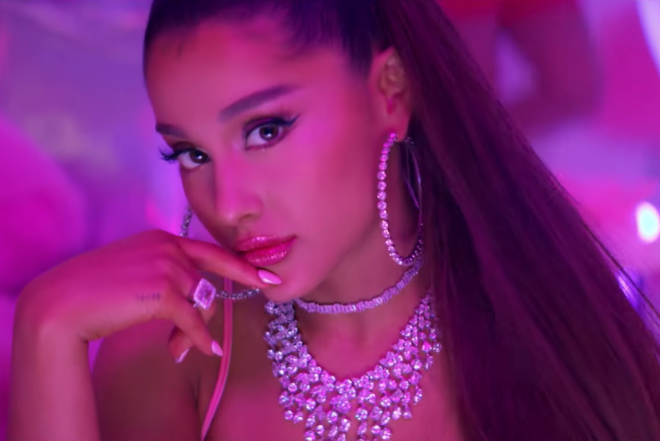 On Friday, Ariana Grande dropped “7 rings,” the second single off her forthcoming album thank u, next. The track finds her reflecting on the luxuries in life — her wealth, diamonds, hair and best friends. The inspiration for the song came when Grande bought her friends diamond rings from Tiffany’s, deciding that they had to write a song about the experience. Grande doesn’t hold back from broadcasting her riches with “my wrist, stop watchin’, my neck is flossin’ / Make big deposits, my gloss is poppin’ / You like my hair? Gee, thanks, just bought it / I see it, I like it, I want it, I got it (Yeah).” Both verses sample The Sound of Music’s “My Favorite Things” alongside Notorious B.I.G‘s “Gimme The Loot” in the bridge. Watch the video for “7 Rings” below.